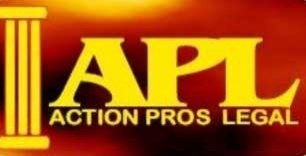 Welcome to ActionPros Legal! Our firm is here to help individuals and small businesses with any of their legal needs. We are well versed in Small Claims Court litigation, Employment Law, Provincial Offences and Traffic matters, Boards and Tribunals, such as Landlord and Tenant, Human Rights, Workplace Safety and Insurance Board Appeals, Canada Pension, Municipal By-Laws and other areas of law. We know exactly what you are looking for and we are here to help! Our firm promotes your access to legal solutions, in a flexible, friendly and knowledgeable manner, so you can best reach your objectives. ​Our goal is to provide you with assertive, dedicated and affordable legal representation to reach the best solution for your case. Our personable, and direct approach offers committed, knowledgeable and successful solutions. Call or e-mail us for your free initial consultation. Copyright © ActionPros Legal. All rights reserved.